What it is: What we love the most about Thai food is the unique combination of fresh spices and ingredients. 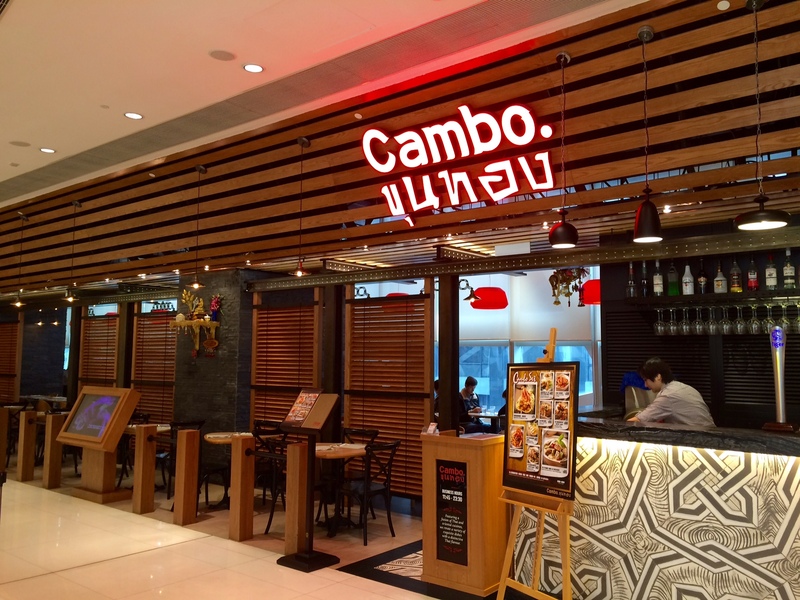 Having tried out many Thai eateries in Hong Kong, Cambo is definitely one of our favorites! Conveniently located on the fourth floor of The One in Tsim Sha Tsui, it's an ideal spot to relax and enjoy some comfort food after time well spent shopping in the mall. When you walk in you will be inspired by the simple, yet elegant, interior with a wood theme. What we ate: Aside from the a la carte menu, you can also choose set meals that are served with either tea or coffee. We were feeling spontaneous and decided to try four of their specialty dishes: the green curry beef stew, Thai satay barbecue with fried rice, minced meat lettuce wrap and Thai style grilled pork neck. The green curry beef stew ($55) was served on a portable burner, which allowed the beef and vegetables to continue simmering in the green curry sauce. The beef was tender with a mild curry flavor and soft coconut undertone. In contrast, the vegetables were cooked for a relatively shorter time, so they had a nice firm texture. 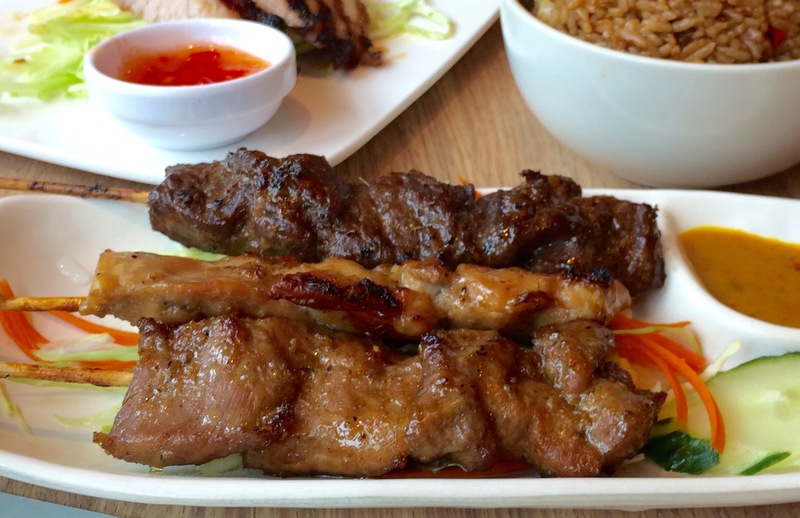 The Thai satay barbecue dish with fried rice ($52) was next. How thoughtful of the chef for putting pork satay on one side of the plate and beef satay on the other side. 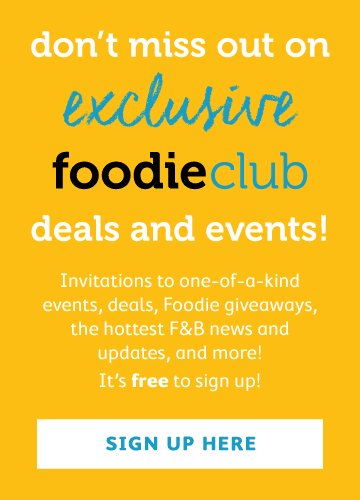 This is ideal if you're like us and just cannot choose between pork or beef, or if you're sharing with friends who have different preferences for meat. With the nice barbecue dipping sauce, the dish was just perfect! The fried rice was also very tasty. Although we like hot dishes it might be a tad too hot for some people. 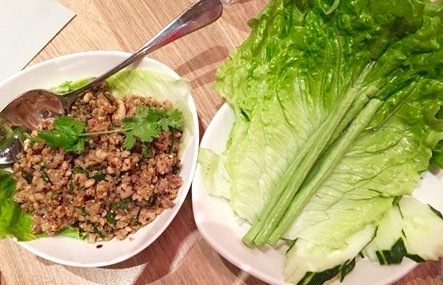 The minced meat lettuce wrap ($58) has always have been our favorite Thai dish here! We have trouble finding words to describe how good the combination of the warm minced meat is with the fresh raw lettuce. 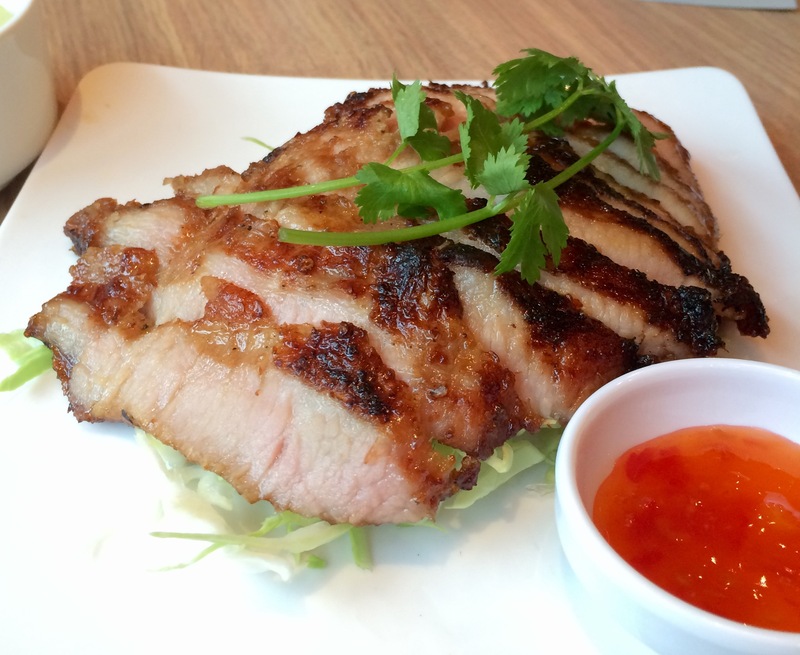 Last, but certainly not least was the Thai style grilled pork neck ($73). You can tell the meat was well-marinated and then grilled. This was done very well and the meat had a superb flavour and chewy texture which we thought was so good! 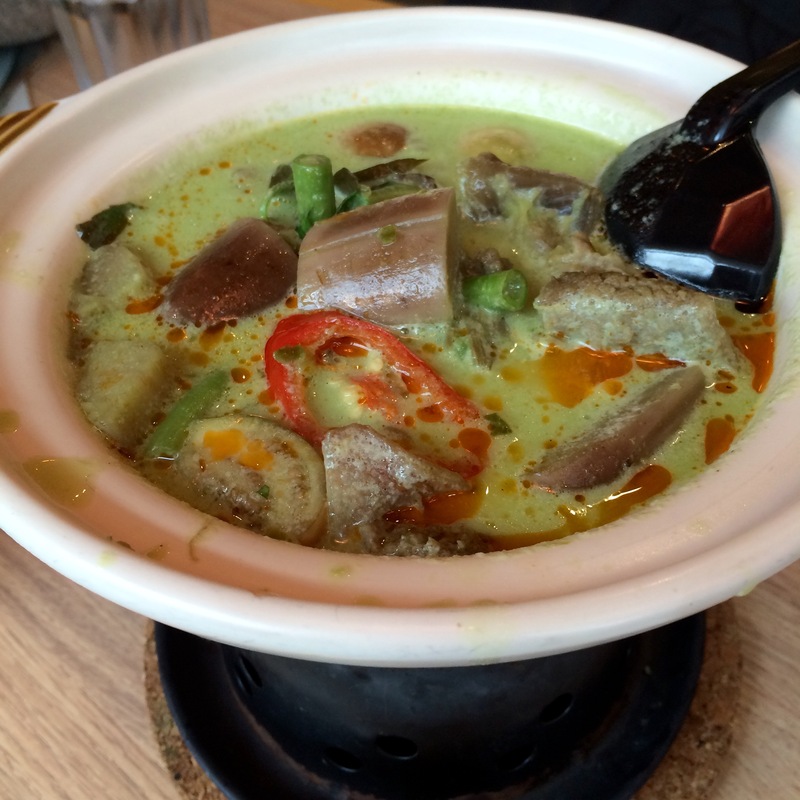 Overall, we thought Cambo delivered authentic Thai flavours at a significant bargain. Each dish was unique, fresh and left us satisfied. Cambo is one of our favourite escapes from shopping in TST and we will definitely be back again to try other dishes.